Crakrok. There used to be a toffee maker named craKroc and, as the name suggests, the stuff was offensively good. 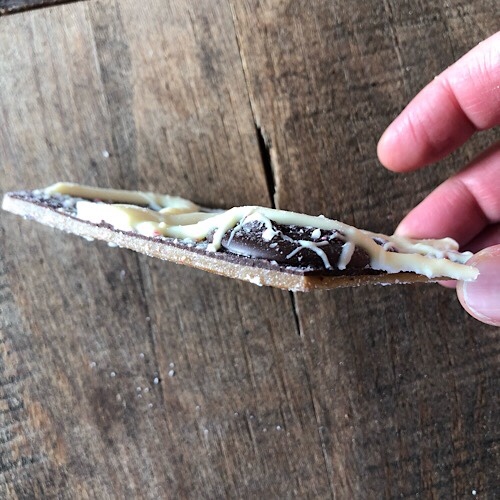 Just perfect pairings of sweet, salty, crunchy and chewy flavors. 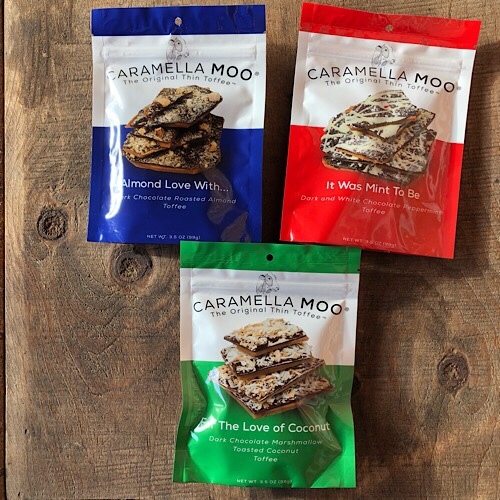 But as a company grows up, so does the marketing approach: that company is now called Caramella Moo, which, while potentially confusing, certainly isn’t going to alienate a buyer with a cute drug pun. Me? I like drug puns. But not everyone does, so now we have this. The packaging is way better than before, but (I could be wrong about this but I don’t think so) the recipes are the same great ones we’re used to. It’s not wonderful “beginning of the year diet food”, but I never purported to be inspirational. 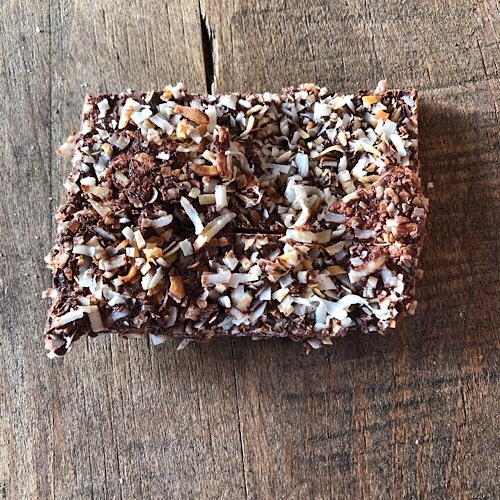 We received three flavors: classic almond toffee, “It was Mint to Be”, and “For the Love of Coconut”. This is my jam. 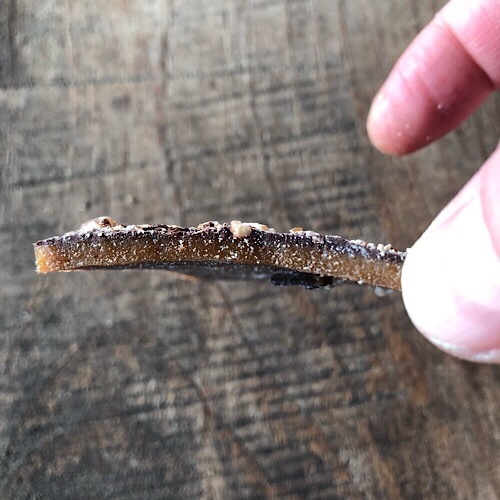 I’m a huuuuuge English toffee fan, and this scratches that itch big time. 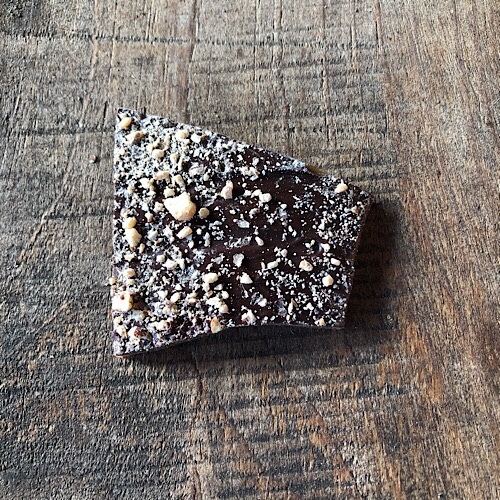 It’s exactly as you’d expect: chocolate covered toffee with almond shards, crunchy and a bit salty. Proper. This one, while being tasty, comes in third for me. 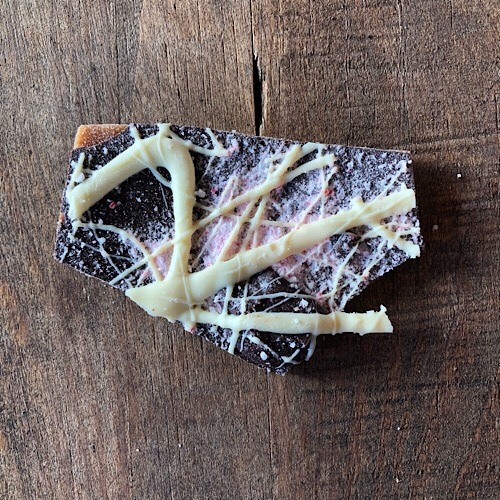 It borders on the peppermint bark thing a bit-which is good, I love bark. But as a “toffee” treat, it’s just not quite as pronounced as the others. For oddest in show, I present the coconut marshmallow. This…is truly completely unique. Unlike the other two varieties, this one is super pliant, bendable almost. That’s due to the marshmallow layer. One thing about me- I’m a marshmallow hater. I just don’t like them. What’s that you say? “What about ‘S’mores? !” Meh. They’re fine but let’s not kid each other-marshmallows are sticky, weird gooey things. And that’s about all they are for me. Except here. Here, in this limited amount, it becomes different. It’s like a hidden layer of goodness-not enough to dominate the flavor, but enough to give us something with a very unique consistency, and a unique flavor. It makes the sum of its parts greater. Caramella Moo has a lot more flavors as well, all available on their website. 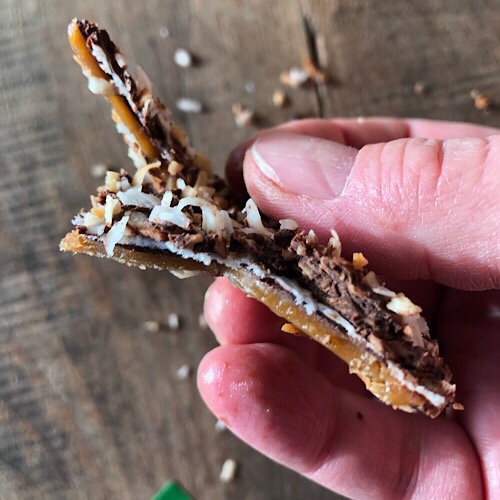 Give the link below a try, because trust me, …if you haven’t tried this, then you haven’t experienced all toffee has to offer. And while they may have changed the product name…it’s still VERRRRRY much crack-like, although I’ve never tried real crack. But if real crack is anything like pizza, then I think I nailed it.